If you have ever had a heavy cold, then you have probably experienced rib pain from coughing. In this article, we’re going to take an in-depth look at rib pain due to coughing, as well as rib pain coughing causes and how to effectively treat the cough and rib pain. These treatments include home remedies for rib pain due to a cough so that you will be able to treat yourself, or at the very least, be able to know when to see a doctor instead. You Can Treat Rib Pain! As mentioned, if you’ve ever had a bad cold that has lasted for a few days, it can result in rib pain from coughing too much. Excessive or chronic coughing exhausts the intercostal muscles, which are the muscles in between your ribs. Now, this type of exhaustion might be the only reason why your ribs are in pain, so it should subside with a little bit of rest. Or, it could be the indicator of a larger issue that might need a better look or more precise treatment. Unfortunately, determining the causes of rib pain due to coughing is not that simple. There are many issues that can cause rib pain from coughing, but some of the causes are interconnected. As we mentioned very briefly above, you can strain the muscles around the rib area due to coughing, which strains the intercostal muscles. But, there are other muscles in that area that can also be strained and contribute to the possible rib pain. For example, your neck and back muscles can cause your chest to lift up. This enlarges the thoracic cavity, which in turn, creates more pressure on the chest and ribs. Joint issues like osteoarthritis and osteoporosis can cause rib pain. Although these medical conditions can cause pain in the joints of your arms and fingers, they may not normally affect your chest and rib area, unless there is extra pressure and strain on that area due to coughing. Cartilage connects your ribs to the rest of your body. And, while there are many medical issues that can cause the cartilage to become inflamed, it can also become inflamed and irritated due to constant and forceful coughing. This inflammation can cause the rib area to be sore and tender even when coughing isn’t present, but will become painful during a cough or a coughing fit. There is a two-layered membrane that covers your lungs called the pleura. The pleura can become inflamed, and occasionally, there can be a build up of fluid caused by excessive coughing (among other things). This condition is called pleurisy, and it too can become a source of rib pain while coughing. There are some lung issues that can cause rib pain from coughing. Infections and a few lung disorders can cause the body to create extra mucus in the lungs that is thick in consistency. The body will try and expel the mucus through forceful coughing, which can often lead to rib pain. Injury to the ribs can often cause them to be sore and painful, which can be an issue in a few different ways. If you have injured ribs, they are most likely going to hurt when you cough. It’s as simple as that. You may also injure your ribs from coughing. Forceful coughs can cause minor injury to your ribs, and if they are fairly regular, they can continue to keep the ribs sore by not allowing them to heal quickly. As you can see, a lot of these issues are almost self-fulfilling. If you’re still coughing, then your ribs will still hurt. So, one of the best ways of taking care of rib pain from coughing is to take care of the coughing. The first major step to relieve rib pain from coughing is to deal with the cough itself. If the cough is dealt with, then your ribs will have time to heal. You can then follow this up with some rib pain coughing treatments to deal with any lingering rib pain issues. Sometimes all your body needs in a situation like this is some time off and rest until the cough goes away. And, once it does, don’t do anything for a few days that will strain your lungs. Warm drinks like tea can help break up the mucus in your system and soothe your throat, which can lead to less coughing and congestion. You should drink warm water or tea with lemon or honey. Also, try to avoid warm drinks with dairy products in them, as dairy can promote mucus production. Drinking plenty of fluids is good for two reasons in this case. First, it will keep you hydrated, a possible issue for anyone suffering from a cold or the flu. And, the second reason is that drinking lots of liquids can keep your throat moist, which allows for less irritation and the possibility of less coughing. Steam can help relieve some of the coughing as well as thin the mucus that can cause a cough to occur. You can have a hot shower, or you can cover your head with a towel over a pot of boiled water and inhale the steam that way. Relieving the congestion and mucus can help reduce a cough. Natural honey can help with many health issues due to some of the compounds it contains. Natural honey has a natural form of hydrogen peroxide which gives the gooey substance antibacterial properties. Taking a tablespoon of honey can help soothe your throat and reduce any bacteria that is causing your cough. You can take the honey straight up, or you can mix a tablespoon into a warm liquid like water or tea. In addition to these natural treatments for a cough, there are also things like cough drops, cough syrup, and over-the-counter medications that may be able to help you get rid of a cough. You can then begin to work on the actual rib pain once you have dealt with the cough. Luckily, there are a few treatment tips for that as well. A cold compress or ice pack can help reduce any strain and inflammation on the joints that may have occurred due to coughing. Use the compress for approximately 10 to 15 minutes and then take it off. Placing a heating pad on the affected area can help promote blood circulation. It helps reduce inflammation and allows the ribs to heal. Ginger has long been used in many home treatments for numerous ailments, and it can also help your painful ribs. It contains gingerols, which are great for reducing inflammation, including in the rib area. You can mix one or two teaspoons of ginger in a cup of warm water, or make a ginger tea to help with the inflammation. Turmeric can help with the pain in your ribs as it contains curcumin. Curcumin is not only an anti-inflammatory, but it’s also a very good antioxidant, both of which can help with clearing out a cough and reduce the inflammation around the rib area. Simply add turmeric to hot water or tea (much like what you do with ginger). Or, you can take a teaspoon of turmeric mixed with a tablespoon of honey. Hopefully, one of these remedies can help with your cough, as well as your rib pain after the cough has subsided. However, if none of these do work, it might be best to speak to your doctor. 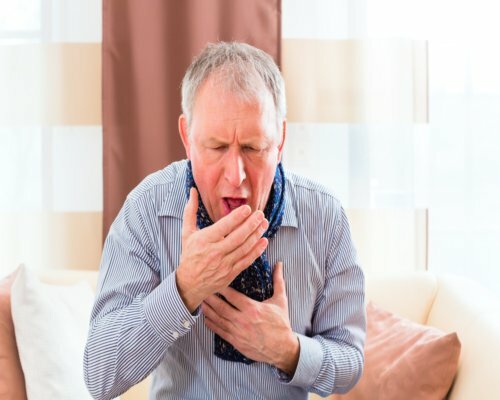 If these symptoms start showing up, then you should see a doctor to figure out what the underlying cause of the cough is, and how to go about properly treating it. As you can see, there are many causes of a cough, and it can often lead to rib pain. It can make you uncomfortable, it can make it hard to breathe, and it can make you dread that next cough due to the expected pain. Luckily, there are many ways treat a cough and the possible rib pain that comes with it. Hopefully, the treatments that we’ve discussed above will work for you. “How to Treat a Cough From Cold or Flu.” Web MD, June 5, 2016; http://symptoms.webmd.com/cold-flu-map/treating-your-cough, last accessed July 31, 2017. “10 Natural Remedies for Ribs Pain,” 1000 Natural Remedy, May 30, 2016; https://1000naturalremedy.com/10-natural-remedy-ribs-pain/, last accessed July 31, 2017. On, S., “Natural Remedies For Rib Swelling And Pain: What are its Causes?” Simple Remedies, March 24, 2015; http://www.simple-remedies.com/alternative-therapies/rib-swelling-pain-causes-remedies.html, last accessed July 31, 2017.